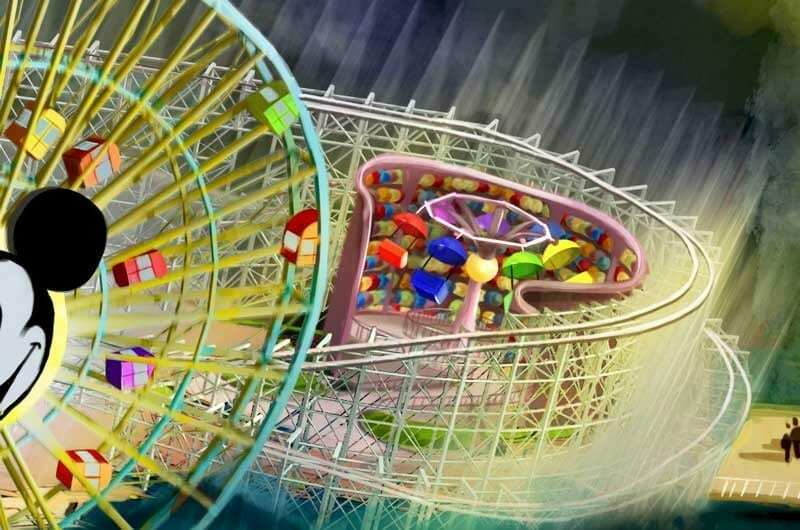 Disney California Adventure closed Paradise Pier to rebrand the entire area as Pixar Pier. Little by little the area has been transforming to showcase all of the great Pixar films and shorts in a new way. When I traveled to Pixar Studios, we sat down with the Pixar in the Parks crew to talk about Pixar Fest and everything coming to Pixar Pier. We even got a little sneak peek into some of the areas and the themes. Pixar Pier has been opening in stages as the shops and restaurants are completed with the full opening slated for June 23rd. There will be a few rides that will not be completed until 2019. 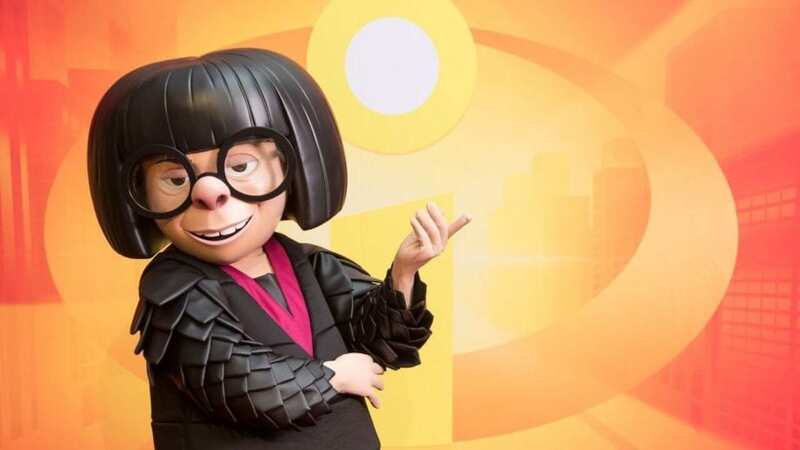 UPDATE: Edna Mode is coming to Disney California Adventure in Pixar Pier!! Take a listen to the whole video to get a visual map idea of the plans! The Pixar Team lays out the new Pixar Pier for us from entrance all the way to the end and new attractions. Here is what to expect. 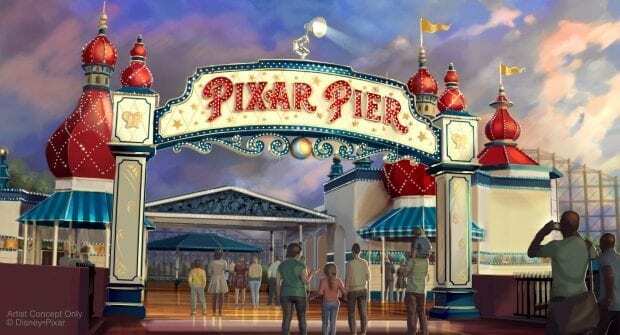 When Pixar Pier opens on June 23 at Disney California Adventure park, guests will enter the new land through a new marquee with the Pixar Pier and the iconic Luxo Lamp. The entrance is located near the old Ariel's Grotto which is being renamed the Lamplight Lounge which is a Pixar themed restaurant. You will still be able to order the famous lobster nachos too! The merchandise store has become Knicks Knacks and is open now sharing some of the best Pixar gear. 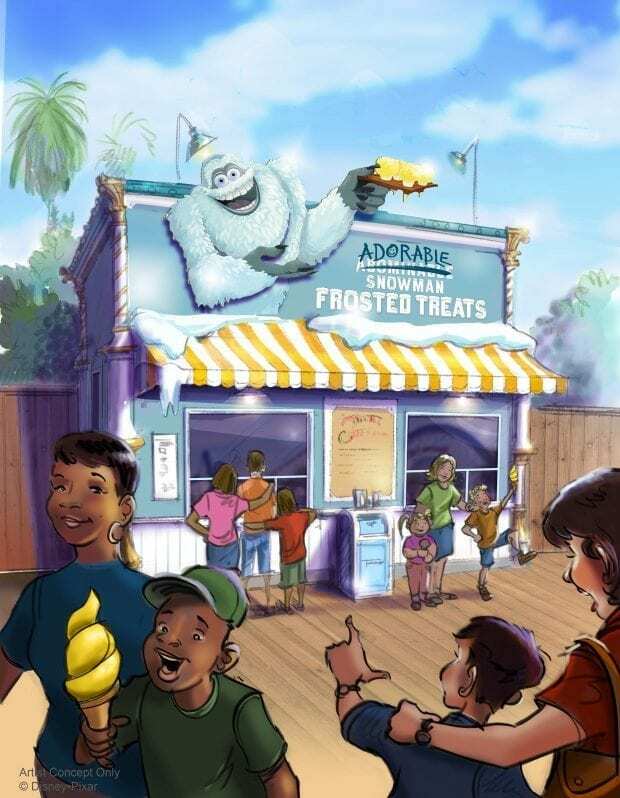 Also open now is the ice cream shop that is now the Adorable (Abominable) Snowman Frosted Treats where they serve lemon soft serve that team says is like a lemon Dole Whip! There are four themed neighborhoods representing some of Pixar's films. The first one will be the Incredibles Themed area. 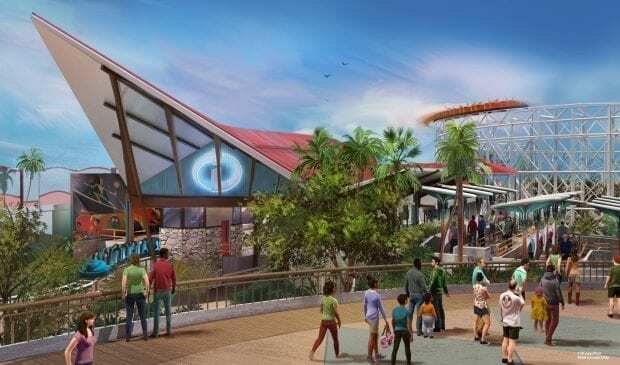 The California Screaming is now the Incredicoaster. The buildings will be mid-century and modern, and it will tell a story with our favorite superfamily. The Pixar teams tell us that they will be highlighting all of Jack-Jack's superpowers. Edna and Jack-Jack are too short to ride, so Edna has to stay behind and watch Jack-Jack, but he teleports away. The tubes have been closed and will feature a screen with all the action. The ride will start with the Speed Run with Dash chasing after Jack-Jack into the first tunnel. The next tunnel will have Mrs. Incredible stretching out to try and grab Jack-Jack. During the down tunnel, Mr. Incredible is trying to entice Jack-Jack with a cookie. The tube is going to have the smell of Chocolate Chip Cookies piped in, yum! The ride looks like a lot of fun! The next neighborhood is the Toy Story Area where the King Tritan's Carousel is being turned into Jessie's Critter Carousel. This is one of the rides that won't be opening until 2019 but you can be sure that it will be very cute! There are nine critters that children will get to ride on, and the skunk travels backward in case he needs to cause a stink! Bullseye Stallion Stampede – Race your stallion across the prairie in this skee ball-like game inspired by Disney•Pixar’s Toy Story 2! Sit at one end of a table and roll rubber balls into the right holes to make your horse run faster. The higher the point value of the hole, the faster your horse races. Be the first to cross the prairie and win a wonderful prize! La Luna Star Catcher – A Pixar Short, previously the Goofy About Fishing Game. Wall-E Space Spin – The adorable robot! Previously Dumbo's Bucket Brigade. Heimlich Candy Corn Toss – He is the caterpillar from A Bug's Life. Previously the Casey at the Bat. Señor Buzz Churros – A nod to the time when Buzz gets switched to Spanish mode. Angry Dogs – A hot dog stand featuring Anger from Inside Out. Bing Bong's Sweet Shop (Confectionary) – I hope there will be pink cotton candy that looks like Bing Bong from Inside Out. There will also be a theatre where you'll get a chance to visit and meet with lots of the Pixar Pals. 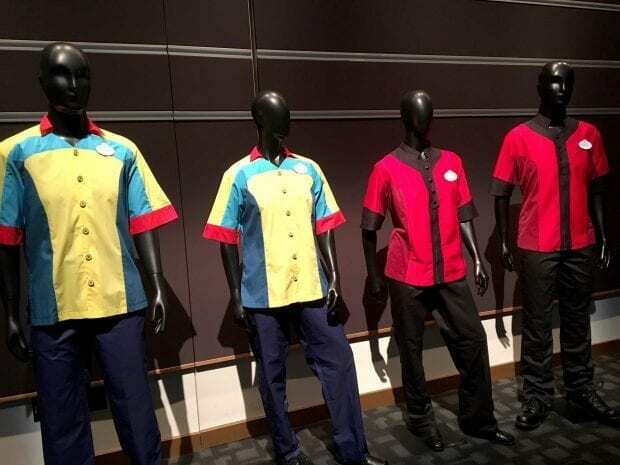 Check out the adorable new cast member uniforms! 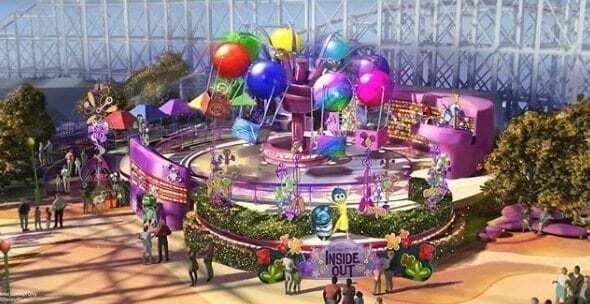 The last section of Pixar Pier is going to have a new Inside Out Emotion Wheel attraction that will open in 2019. It’s time to plan another visit. PIXAR is the best!